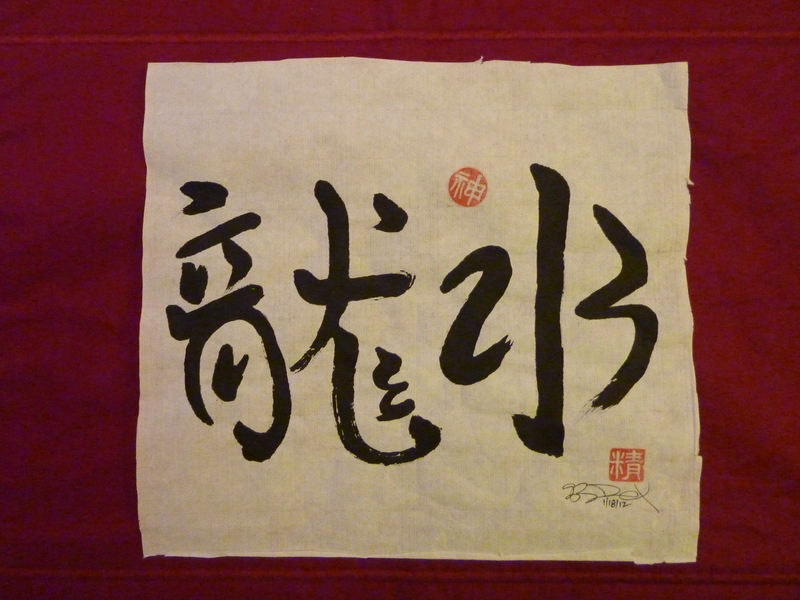 Semi-Calligraphic Script for "Water Dragon"
Happy Year of the Black Water Dragon! 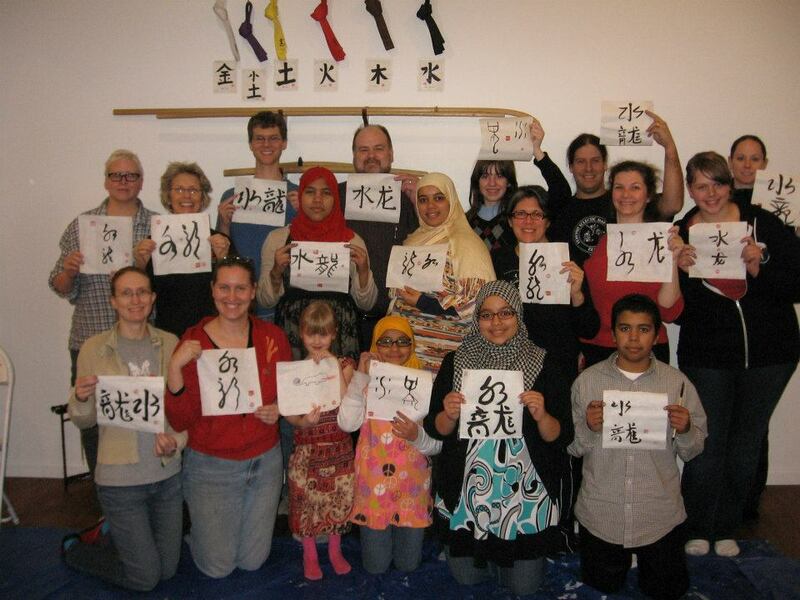 We celebrated at the dojo this year in our traditional way – with a calligraphy class from Shifu. I’ll be the first to admit that I know nothing about Chinese calligraphy, and I’m sure that anyone versed in proper technique or who reads Chinese fluently will look at my little piece of paper and find a million things wrong with it. Still, I’m pretty pleased with what I was able to learn in just two hours, and this sign will go up in my workroom to remind me to keep the spirit of the water dragon with me until next year. FEMA students and their projects! The Water Dragon is said to bring prosperity and great change, and I know that there’s at least one HUGE change on my horizon, with R and I getting married in September. We’re hoping for a little prosperity this year, both for us and for the world as a whole. A little certainty and comfort this year would be a blessing; it’s been a long time coming. R was well under-employed for the better part of a year, and with me covering his health insurance, it’s really taken a toll. Now that he has a job and I’ve gotten a promotion, I think things are looking up for us! Happy Chinese New Year to you and yours, and best wishes for positive change and prosperity in the coming months.